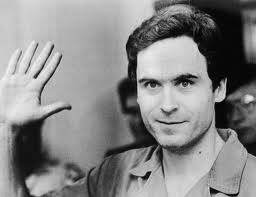 Since I write about psychopathic killers, I’ve decided to read several books on the subject. My current one is “Without Conscience” by Robert D. Hare. The first thing I learned is that ‘sociopaths’ and ‘psychopaths’ are really the same thing. There’s no distinction. Researchers and clinicians use the term interchangeably. Sometimes sociopathy is used because it’s less likely than ‘psychopathy’ to be confused with psychoticism or insanity. For believe me, sociopaths/psychopaths are NOT insane. They know exactly what they’re doing and just don’t care. They're not all killers, though. They are serious con artists. Let’s start with one of the traits and continue the subject in another post. The first one is Glibness and Superficiality. They can be witty and quite articulate. They can be funny and great conversationalists. They can weave stories that cast themselves in a good light. They’re very often likeable (i.e. Ted Bundy and Jeffrey MacDonald). You may already know they prey on the weak...those that may not see through their guise. Others may view them as too slick or smooth and won’t fall for what they’re ‘selling.’ They can hone in on those that won’t question them, bilking them out of money, house, and home, and not even flinch. Jeffrey MacDonald, the military doctor who killed his entire family, still proclaims his innocence. Yet, the biggest twist in his tale was the fact that his own biographer, who came to write about HIS side of things, had his eyes opened by the callousness and disregard he gave to his dead wife and three daughters. All he did was talk about himself. When he spoke of the murders, he was glib and utterly detached – devoid of emotion or empathy. That author wound up writing a book that portrayed MacDonald as he truly is – a cold-blooded killer. (Joe McGinniss, “Fatal Vision”). Next time, we’ll talk about another sociopathic trait – Egocentricity & Grandiosity. I have learned a lot, just from your brief explanation! To understand and write about them, you have a gifted and artful talent. It would creep me out! HA! You are funny, Elaine. I must have a twisted mind somewhere in my psyche to be so interested in this stuff - much less to WRITE about them! Creating them in my mind.